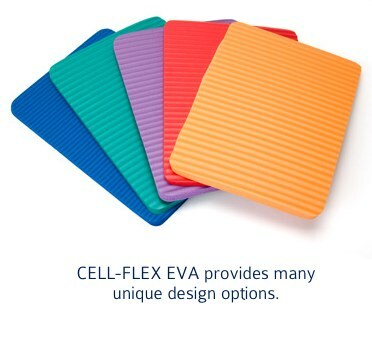 CELL-FLEX EVA, the highest quality microcellular foam product providing unlimited design possibilities. 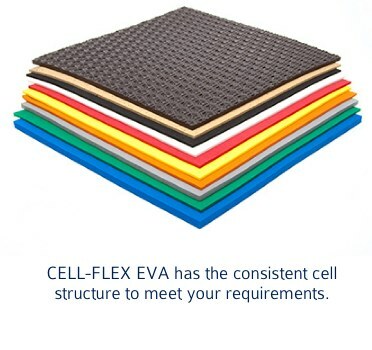 The remarkably fine uniform cell structure of cell-flex eva produces sheets of a singular consistancy and elasticity ranging from the softer flexible cellflex 150 to the firm durable cellflex 2200 with a wide range of densities and hardnesses. 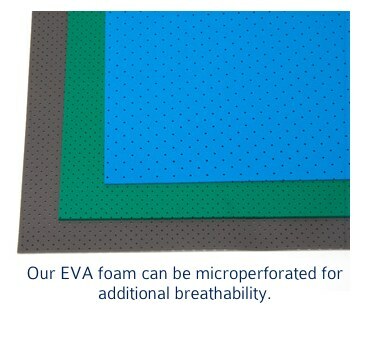 In addition to our standard formulations, we offer anti static, flame retardent and oil resistant compounds. 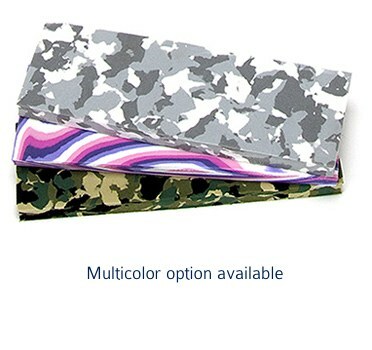 Our chemists will develop unique formulations to meet your specific requirements.